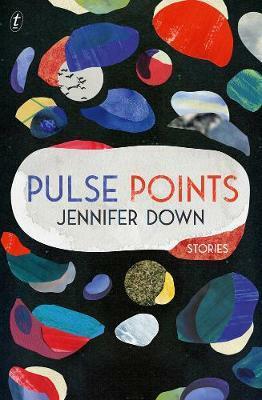 The characters in Jennifer Down’s Pulse Points live in small dusty towns, glittering exotic cities and slow droll suburbs; they are mourners, survivors and perpetrators. In the award-winning Aokigahara, a young woman travels to the sea of trees in Japan to say goodbye. In Coarsegold, a woman conducts an illicit affair while her recovering girlfriend works the overnight motel shift in the middle of nowhere. In Dogs, Foggo runs an unruly gang of bored, cruel boys with a scent for fresh meat. In Pressure Okay a middle-aged man goes to the theatre, gets a massage, remembers his departed wife, navigates the long game of grief with his adult daughter. Jennifer Down, whose first novel, Our Magic Hour, was commended in the 2017 Victorian Premier’s Literary Award, is a masterful stylist whose sharp eye has been compared to that of Helen Garner. Pulse Points is a gutting collection that showcases a writer of great talent. Jennifer Down’s debut novel, Our Magic Hour, released last year, remains one of the most absorbing works of fiction I’ve had the pleasure of reading. This intimate, emotionally astute novel about grief, relationships and everyday life, set around the streets of Melbourne and Sydney, took hold of me with an exceptional force, and introduced Down as a major new Australian literary talent. Now comes Pulse Points, her hotly anticipated short-story collection. Pulse Points exceeds all expectations. Down brings to these 14 stories her sharp control over language, her mastery of voice and of place, and her empathetic and nuanced emotional intelligence. These are snapshots of ordinary people grappling with the small joys and deeper heartaches of ordinary lives. Down takes the reader from Aokigahara, Japan to Elizabethton, Tennessee; from the St Kilda foreshore in Melbourne to a diner on the road between Jerilderie and Canberra. We meet two young siblings caught in a custody battle between their mother and their grandparents; an Australian couple wandering the streets of Paris after suffering a miscarriage; a woman taking a road trip with her ex-fiancé to visit his dying mother. Each vignette stands alone, fully realised. Down’s leaps between one continent and the next are ambitious, but the voice of each character always rings true. Pulse Points has the precise, arresting prose and depth of feeling of Our Magic Hour, but the short-story form magnifies Down’s skill. Moving through the collection from one fully realised character to the next gives Pulse Points a momentum that Our Magic Hour lacked. There are no weak moments here. Thematic threads ensure the collection reads beautifully as a whole. We meet many of these characters in an in-between state – they exist in motion, moving in cars or on foot from one place to the next. Down also demonstrates a preoccupation with the body: medicine, mental health, mortality. A human pulse runs through this collection; these stories live and breathe, and as a result Pulse Points is powerful and deeply affecting. Stella Charls is the marketing and events coordinator for Readings.